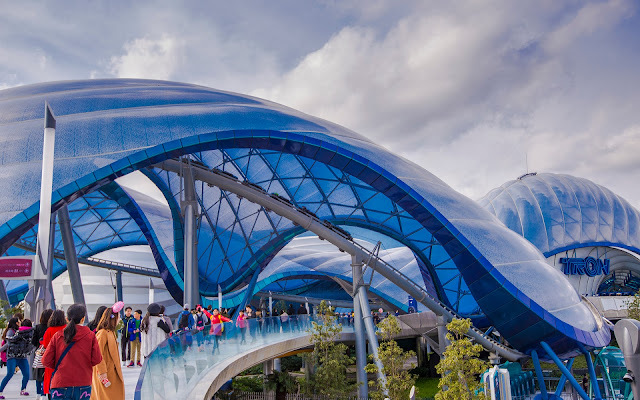 From the very first time I set eyes upon Shanghai Disneyland's Tomorrowland, I was fascinated with its curvacious and organic forms. The flowing and sinuous shapes evoked a future of harmony, lead by its architecture and materials. The buildings, the pathways, the light fixtures--each brought its own sense of arcs and sweeps. And even though the days were generally cloudy, the beauty of this land stood out on its own. 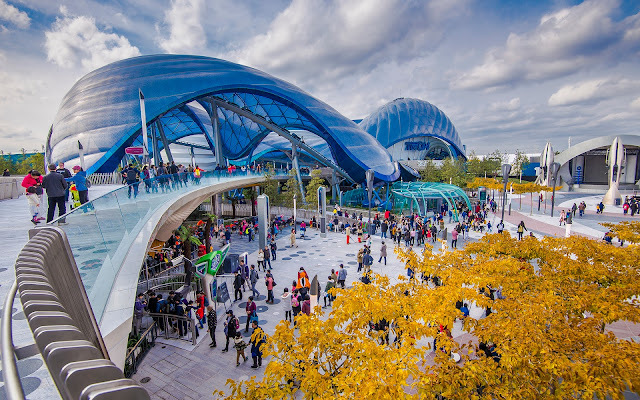 Shanghai's Tomorrowland is futuristic in a progressive way. 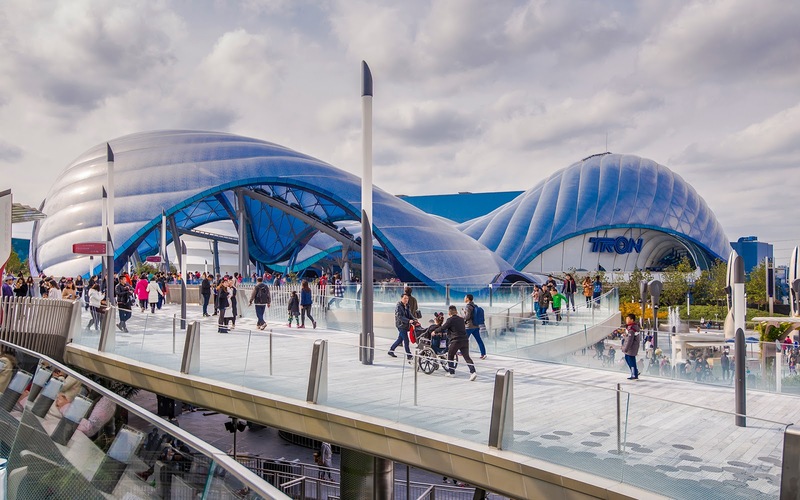 It's not the timeless "future that never was" of Disneyland Paris' Discoveryland, or the multitude of dated Tomorrowlands in the other Magic Kingdoms. It's truly something we can always imagine coming from what lies beyond tomorrow. This is the classic angle of Shanghai Disneyland's Tomorrowland. The TRON show building makes up a majority of the curves. But it's so striking that one can't help but gawk and admire it.